During WWI the French military called on the talents of artists to conceal their forces. 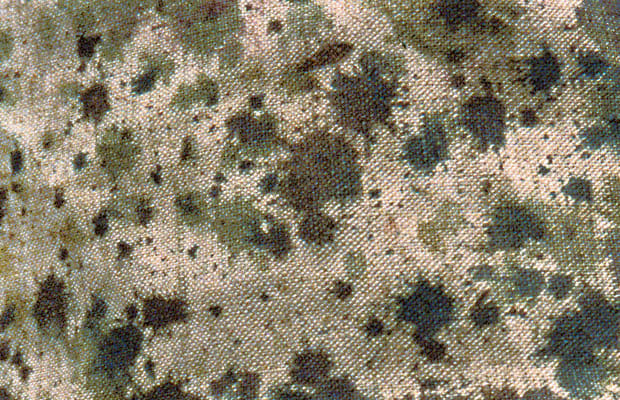 The resulting ‘Section de Camouflage’, established in 1915, was the first officially sanctioned military unit dedicated to concealment, and produced a vast number of nets, observation posts, and other items of visual deception. The first official French camouflage uniform was the tenue de léopard (leopard uniform) and was printed with a brushstroke camouflage that has since become known as the ‘lizard’ pattern. From 1951 the ‘lizard’ design was produced in many colour and pattern variations and was issued to troops serving in the wars in Algeria and Indochina. The last official ‘lizard’ pattern was issued in 1958 but the camouflage remained in limited use as late as the 1970s. Since then, many other nations have issued ‘lizard’ uniforms based on the French design. The majority of French troops wore no camouflage from the early 1960s until 1990, as the French military considered it unnecessary and did not like its associations with colonialism. Trial patterns were produced in the early 1980s but were rejected because of their similarity to the German ‘fleck’ camouflage (Flecktarn). In 1990, when French troops entered the Gulf War dressed in olive drab, a new desert camouflage was devised that has become known as the ‘Daguet’ pattern. This was followed in 1991 by the ‘Central Europe’ camouflage, designed for use in temperate woodlands.